If you’ve dreamed of vacationing in Taos, New Mexico, Crested Butte, Colo., or Destin, Flor., mark your calendars for a fabulous silent auction offering stays at three luxury vacation homes in those locations. The No Place Like Home vacation home silent auction event will benefit Austin Street Center, a nonprofit that has provided emergency shelter, food, and clothing to the most vulnerable homeless men and women in Dallas for 30 years. Tonight Jane McGarry and I talked about my recent trip to Costa Rica, where I stayed in some of the most amazing vacation homes in the world right smack on the beach at The Palms in Playa Flamingo. Honestly, I have never been so close to the beach but still sleeping in a luxurious bed! 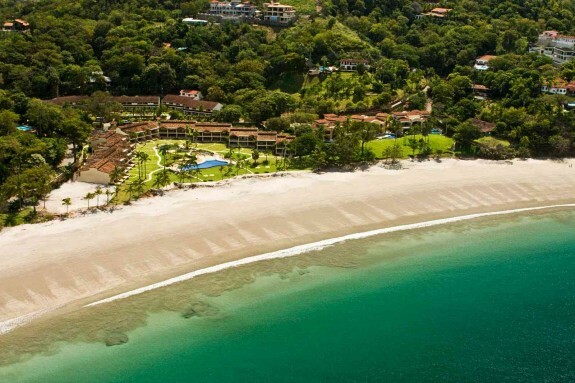 Playa Flamingo is on the west coast of CR, south of Liberia. We had white-sand beaches steps outside our door, and the ocean was perfect. The Palms is a private luxury residence club where you can own your own home, a beautifully finished out two bedroom condo, for $129,000 for six weeks per year. Who needs more? A complete report on The Palms is coming up over on SecondShelters.com, our sister blog for second and vacation home ownership. Oh, and we also talked about those condos being bought for ski lockers in Sun Valley! Found out Jane McGarry has a second home, too, in beautiful Big Sky, Montana. And she’s sending pics!